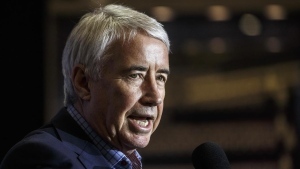 Edmonton Oilers CEO Bob Nicholson speaking at a breakfast for season ticket holders did not hold back in his assessment of forward Tobias Rieder's play this year. 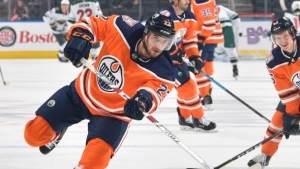 "Toby Rieder will not be signed by the Edmonton Oilers at the end of this year. Toby was a player that other teams wanted. He came here for one year because he wanted to play with Leon Draisaitl who he plays with on the German national team. He thought if he wasn't playing with Leon he'd be playing with Connor [McDavid], he'd score 15-16 goals, and instead of making two million he'd sign a four-year deal [extension] at three and a half million. Toby Rieder hasn't scored a goal. Toby Rieder has missed so many breakaways. If Toby Rieder would have scored 10 or 12 goals, we'd probably be in the playoffs." You just spoke to Bob Nicholson. Does he regret his choice of words here? Dreger: Yeah, no question about that. 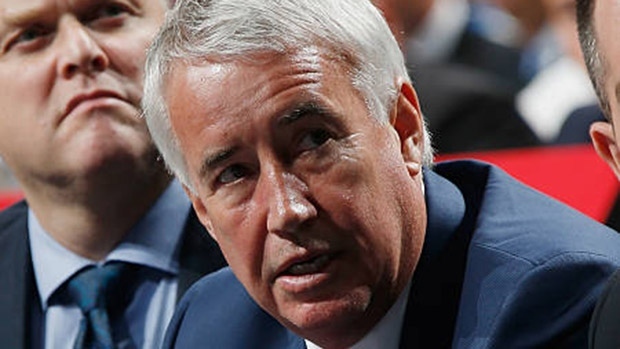 Bob Nicholson would admit that he'd made a mistake. He told Toby Rieder a short while ago in a conversation he had with his forward, that he stepped out of bounds. According to Nicholson, they laughed about it. But you also have to understand the context and the environment of these season-ticket holder events. By the end of the week, there will have been nine of these things. And Bob Nicholson as CEO is standing in there, and he is being peppered by season ticket holders with all types of questions including one that was specific to Toby Rieder. What Nicholson didn't like was the fact that he identified that Rieder should have scored more and that if he scored 10-12 more goals that perhaps the Edmonton Oilers would qualify for the playoffs. So he's hoping, at least, that all of this is behind them. 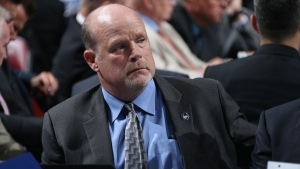 Mark Hunter is one of the candidates to become GM of the Oilers, but we reported a couple of weeks ago that he will be GM of Canada's World Junior team and that is brother Dale is one of 10 candidates interviewed for the head coaching job. Where are we at with that? McKenzie: Well no formal announcement from Hockey Canada just yet but it is believed over the course of this week they are finalizing the coaching staff for Canada's National Junior team, and it would appear that the clear frontrunner for the head coach position would be Dale Hunter. 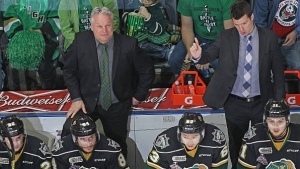 Now if that is, in fact, the case and it does get formalized within the next days or week or so, it would be reuniting Mark and Dale in the Hockey Canada role they had as coach and general manager of the Ivan Hlinka under-18 team back in 2013. That was an interesting coaching staff. Dale Hunter was the head coach. Dominic Ducharme who is an assistant in Montreal and D.J. Smith who is an assistant in Toronto were part of Hunter's staff. So it's not the first kick at the can for Hockey Canada and the Hunters, but we'll wait for some formal word from the Hockey Canada group on what the entire staff will look like this time around. As it stands right now, two of the top four teams in the overall NHL don't have a chance of surviving into the second round. This playoff format, a lot of fans hate it. There are a couple of guys on this panel, at least who don't like it. But, it's going to continue. Why? LeBrun: Probably. It's going to continue because it's not a front-burner issue at this moment. Certainly not with the NHL and not really with the NHLPA either. But, as a factual matter, the agreement between the PA and the League on the playoff format actually expires at the end of this season. So the PA has to give the NHL its blessing to say 'yeah, let's stick with it for at least another year.' Now, there is a call that is being set up for Friday between the NHL and the NHLPA to discuss just this, but all signs point to the fact that both sides will just continue with it for now. They need more time to tackle this. But, they will at some point in time because a lot of people don't like it. College hockey's biggest award, the Hobey Baker, will be awarded on April 12. Is it a lock for a Calgary native and a future Colorado Avalanche member? 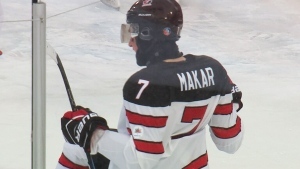 McKenzie: There's no question in my mind that Cale Makar, the Colorado Avalanche first-round pick from a couple of years ago is the odds-on favourite. He's a heavy favourite to win that. I would expect this would be his last year of college hockey. I think he's ready to turn pro with the Avs once his college career is over at U-Mass. Adam Fox is an interesting one; he was a Calgary Flames prospect. He was traded as part of the Dougie Hamilton/Micheal Ferland trade to the Carolina Hurricanes. He has to make a decision on whether or not he wants to go back to school next year, finish his senior year. He could become an unrestricted free agent if he does that (return to school). Carolina's waiting to see if he turns pro once Harvard (Fox's team) is done. And Chase Priskie, here's an interesting one. Quinnipiac defenceman, 17 goals this season, he could sign with the Washington Capitals as soon as his college season is over, or he could become an unrestricted free agent by waiting until August (15th). Taro Hirose, now with the Detroit Red Wings, he's a candidate. And the top-two remaining free agents, Jimmy Schuldt from St. Cloud and Nico Sturm from Clarkson, they are unrestricted free agents and will have an opportunity to sign once their teams are done.